I just stumbled upon this lovely article, which gives some great advice! I thought I would share it, because it is very inspiring and gave me some ideas to help get yourself out there as an artist! It is an article on the Windsor and Newton website. The article talks about the challenges new artists face, and how what you can do to make it easier to get yourself seen. You can do it! Don’t give up! Just like any career, you need to research, research research. Know what your getting into, the troubles your going to face; and always look at every opportunity!!! I leave you all today with a picture I took, that I plan on painting. It is a very, very old truck which I think would be lovely in watercolor. 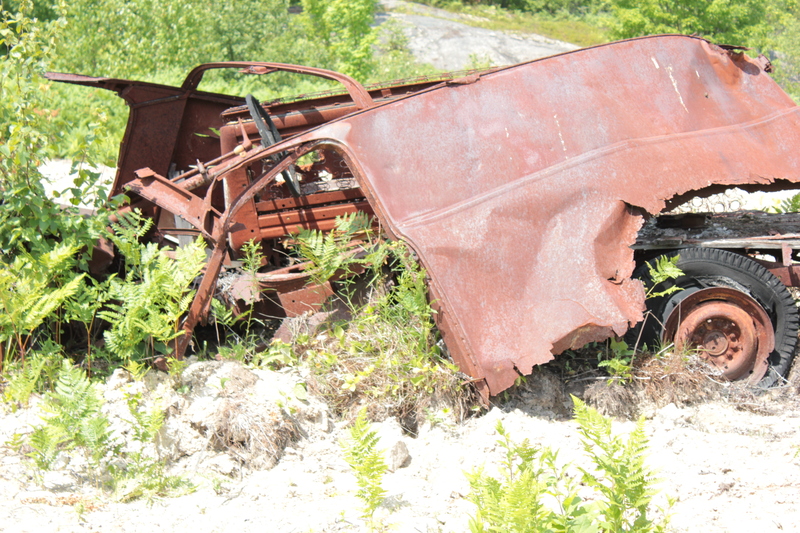 It was taken up on a deserted hill- who knows how long it had been there! Simply amazing what nature can do. Artful Tips and Hints: New! I have just updated my Monthly Newsletter with my first post: 10 Tips I learnt As an Artist. You will find all my discoveries as an artist, how to make your life easier, and what to do if you get stuck on a art piece! Hopefully this will help those artistic gears grind so we can all get back to what we love to do best: Create! Happy Thanksgiving, and talk to you soon!